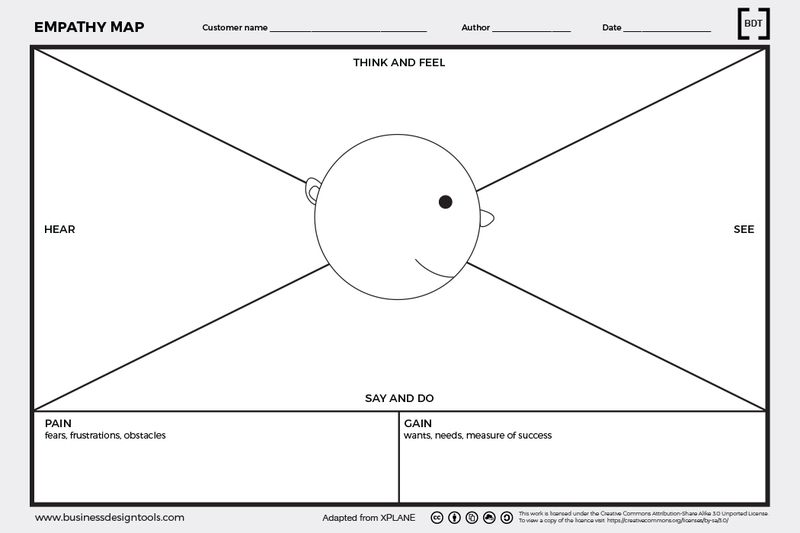 Empathy Map is a tool developed by XPLANE that helps sketching the profile of a customer segment and understand his environment, behaviours, concerns and aspirations. They can be used during contextual inquiry or as a communication tool within the team. It can also be used in support of the creation of Personas. The Empathy Mapping Template can be found here.